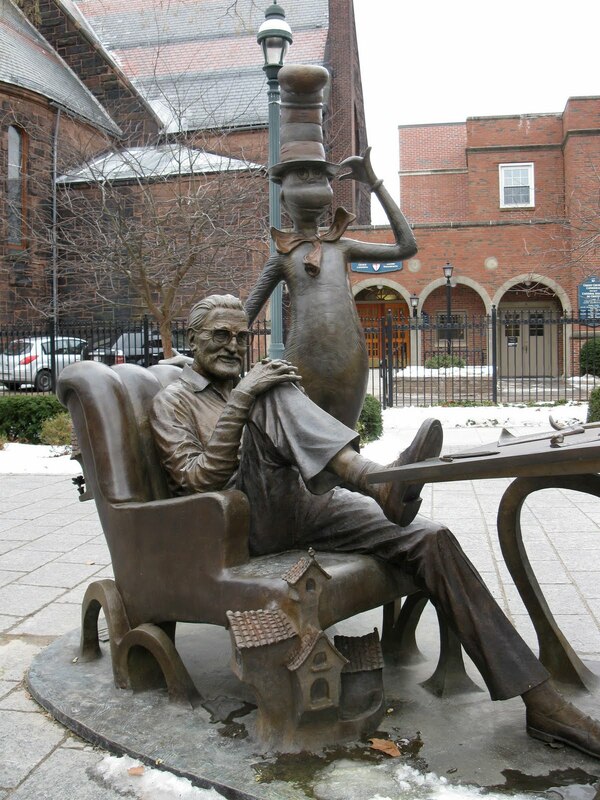 Everybody comes from somewhere, and Springfield, Massachusetts was lucky enough to be the birthplace of iconic children's book author Theodore Geisel, better known as Dr. Seuss (Seuss was his middle name and his mother's maiden name). 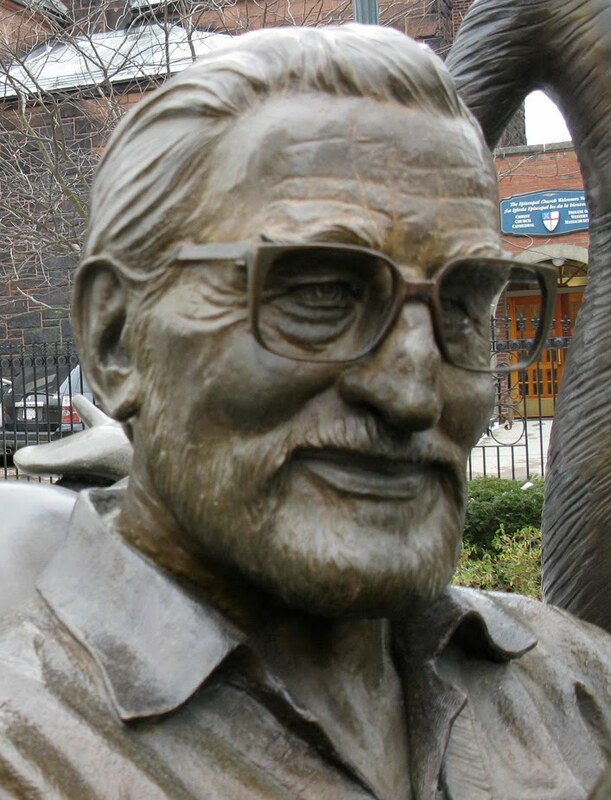 Ted was born in Springfield in 1904 and lived there until he went to college. 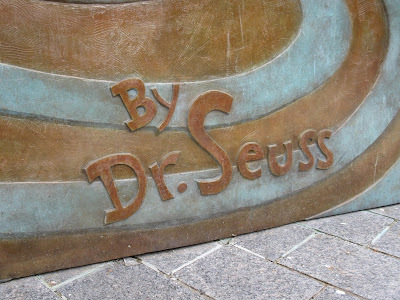 His hometown was the influence for some of his books, too, including his first, And To Think That I Saw It On Mulberry Street (and aspiring authors should take comfort in knowing that even the great Dr. Seuss was rejected 27 times before finally getting his first book published). After an early career as a cartoonist and advertising artist, he went on to write and illustrate 44 books including the classics The Cat In The Hat, Green Eggs and Ham and Horton Hears A Who. 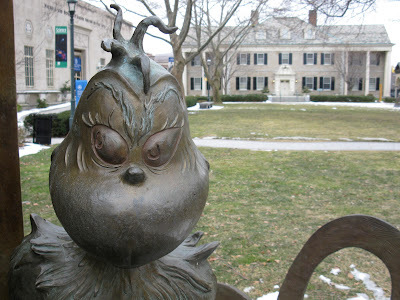 And, I don't know about you, but it just wouldn't be Christmas in our house without Dr. Seuss' How The Grinch Stole Christmas. 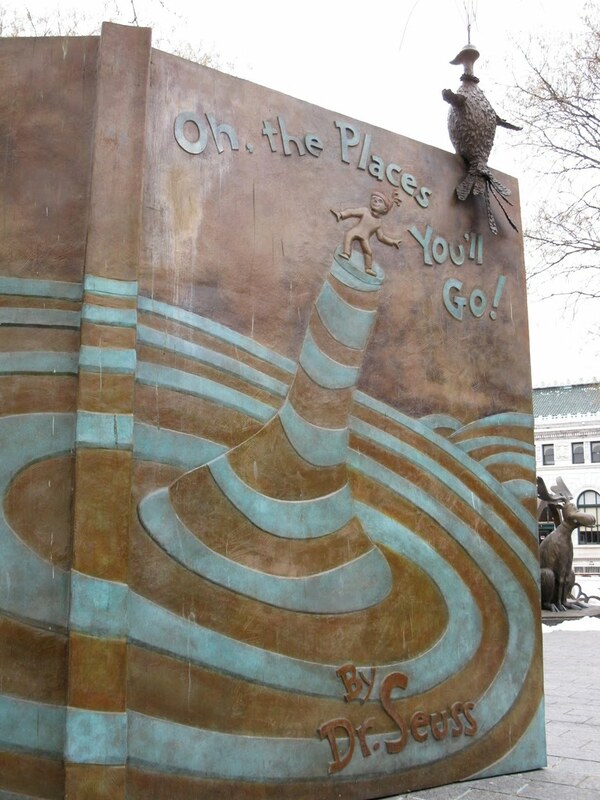 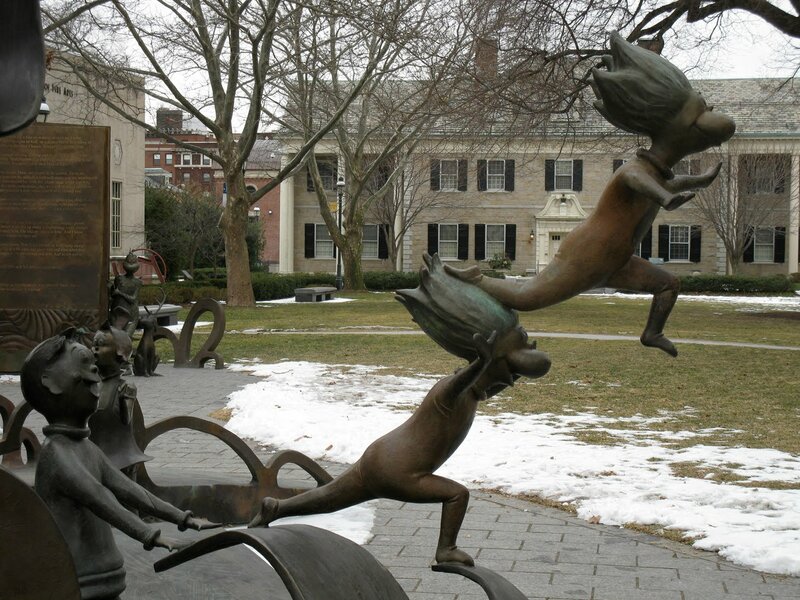 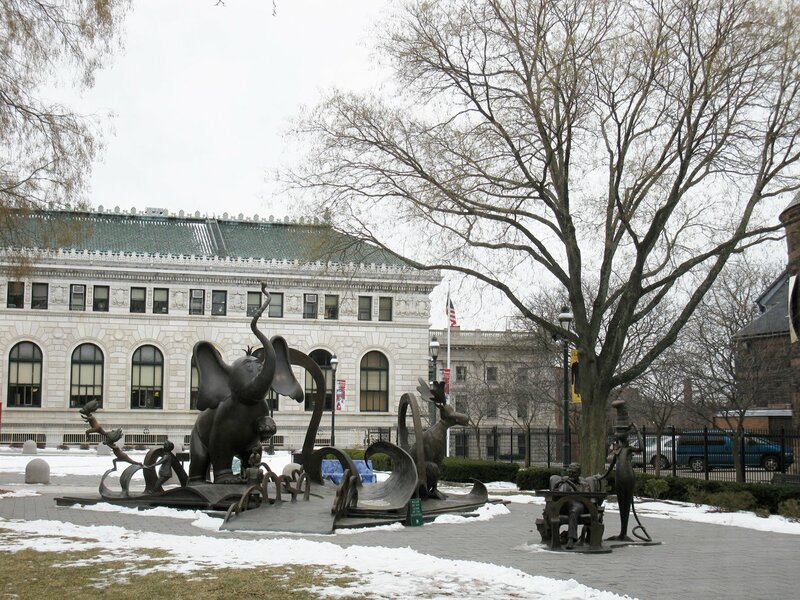 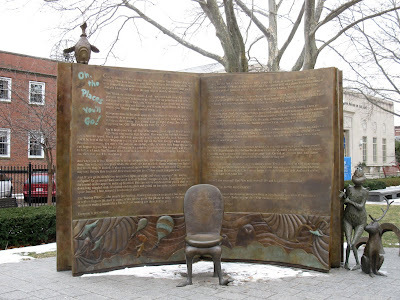 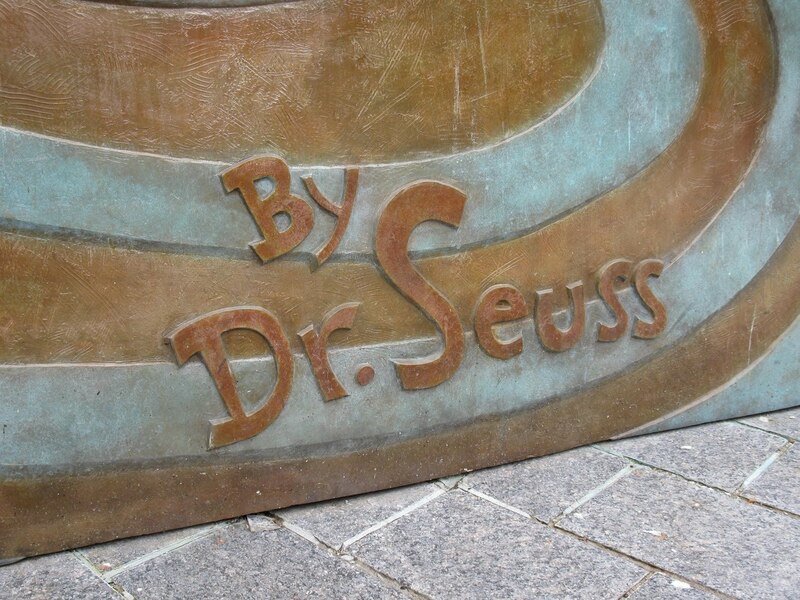 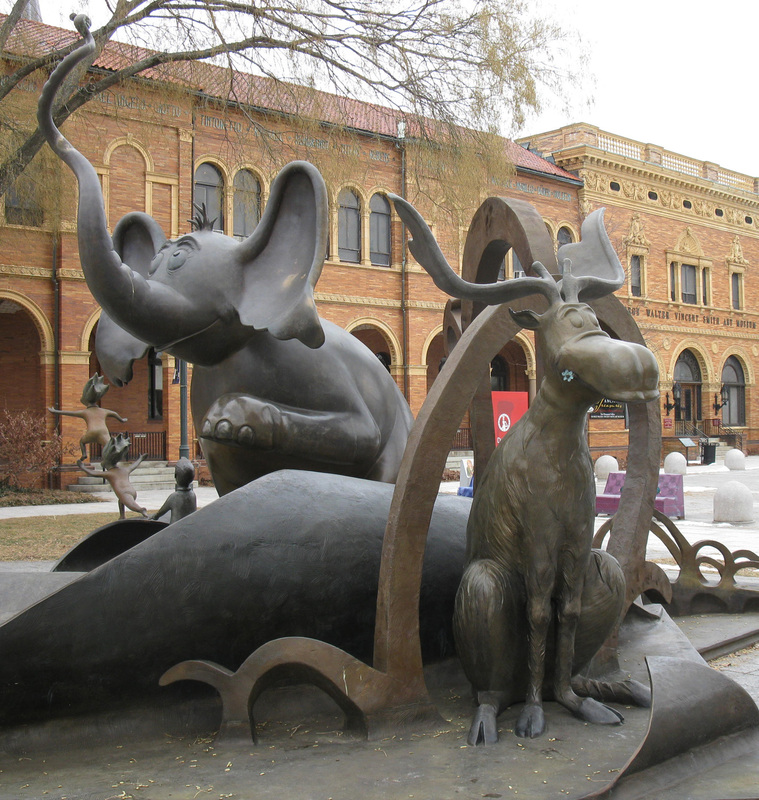 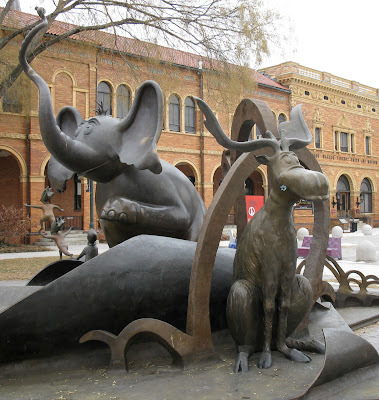 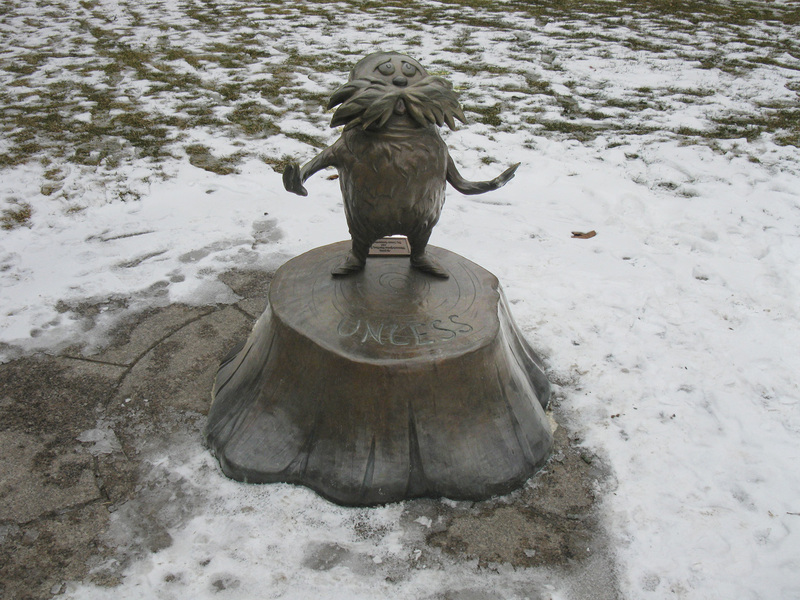 In 2002, Springfield did their native son proud by opening the Dr. Seuss National Memorial Sculpture Garden in the courtyard green of the Springfield Museums at the Quadrangle, a group of four outstanding science, history and art museums. Seuss's own step-daughter, Lark Grey Diamond-Cates, sculpted life-sized bronze depictions of Seuss's most beloved and lovably peculiar characters, including Thidwick the Big-Hearted Moose, the Grinch and Sam I Am. 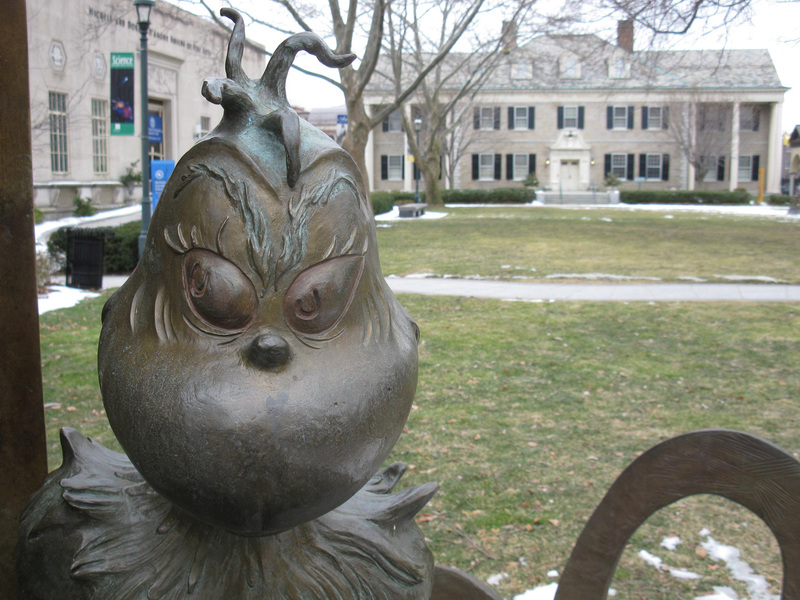 There is also a likeness of Geisel, sitting at his drawing table with the Cat in the Hat looking over his shoulder. 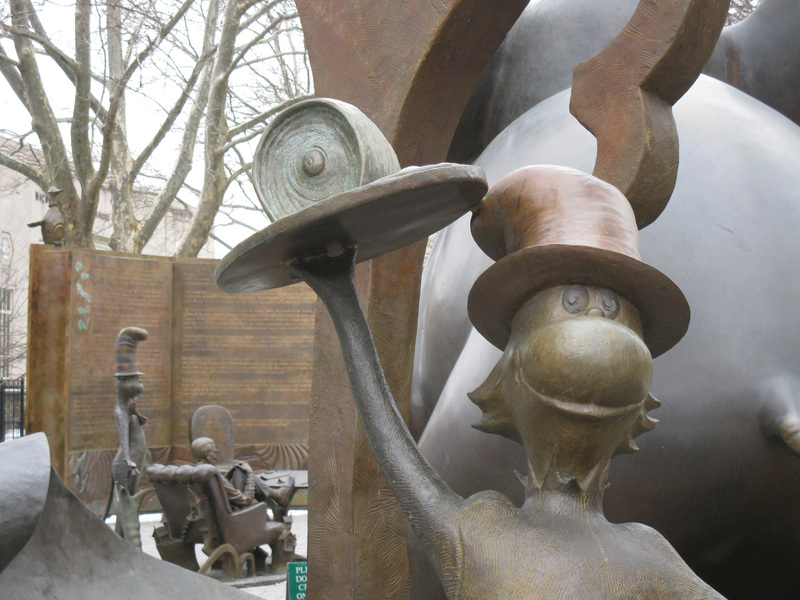 It's fun to walk around and admire these eccentric characters, assembled here with love and respect. As the good doctor once said, "If you never did, you should. These things are fun and fun is good." 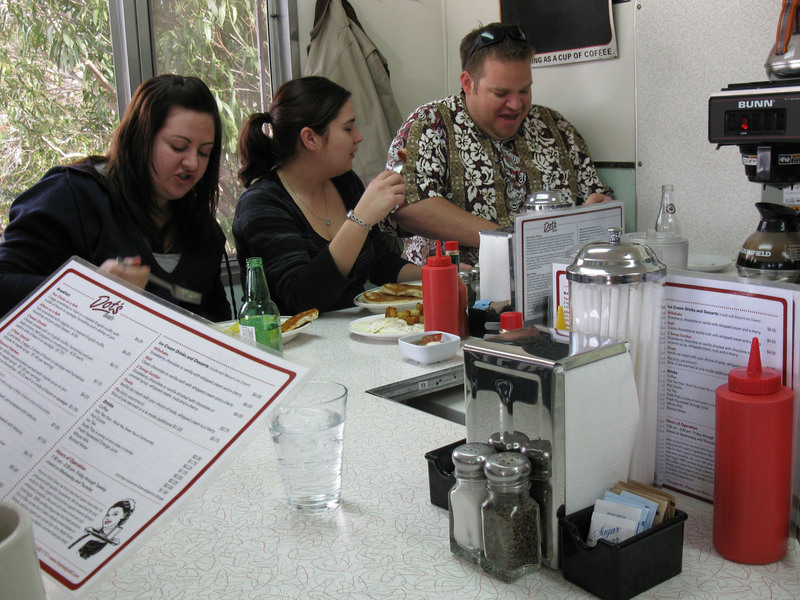 These folks were nice enough to scooch over when we arrived so we could get two stools together. 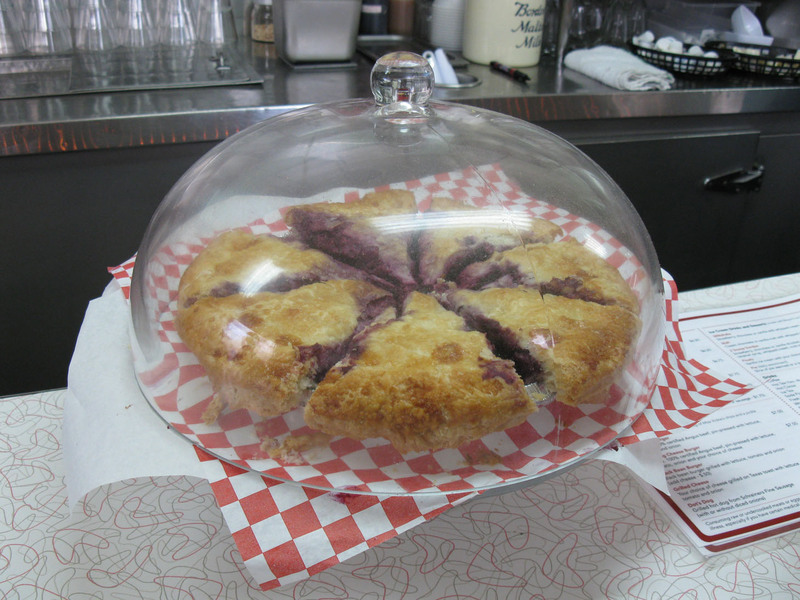 This is a half-portion, mind you. 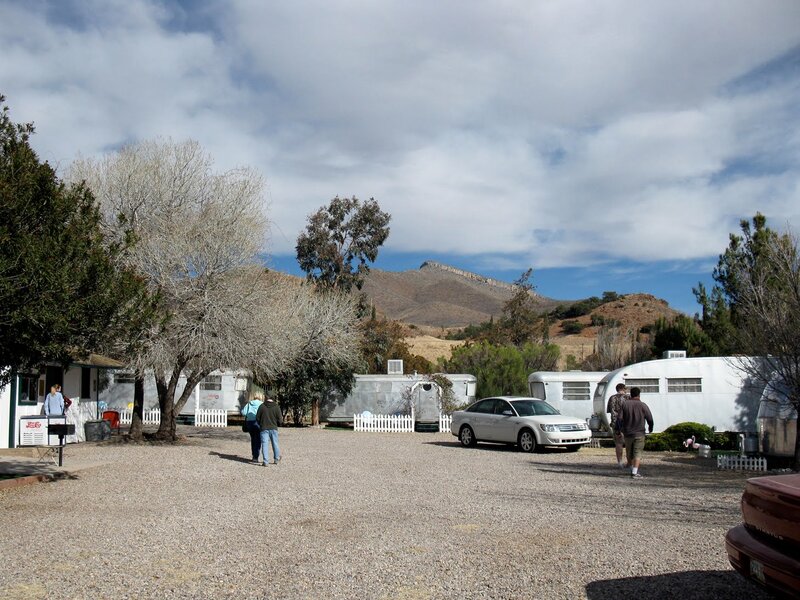 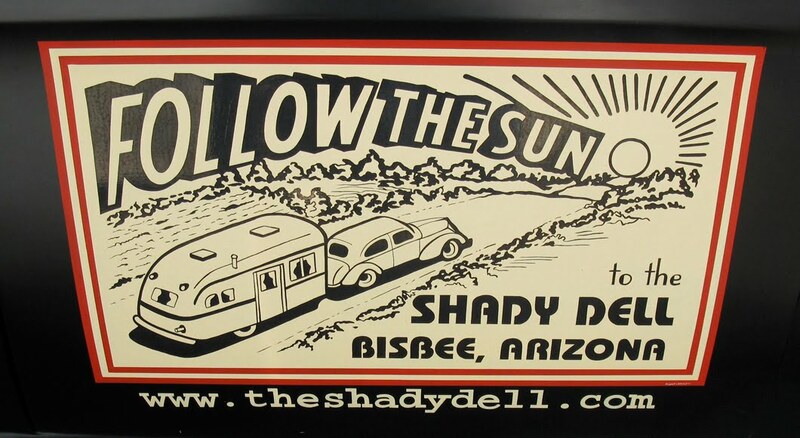 If you didn't have enough of a reason to visit Bisbee, Arizona's Shady Dell vintage RV park (see previous post, and really, what are you waiting for? 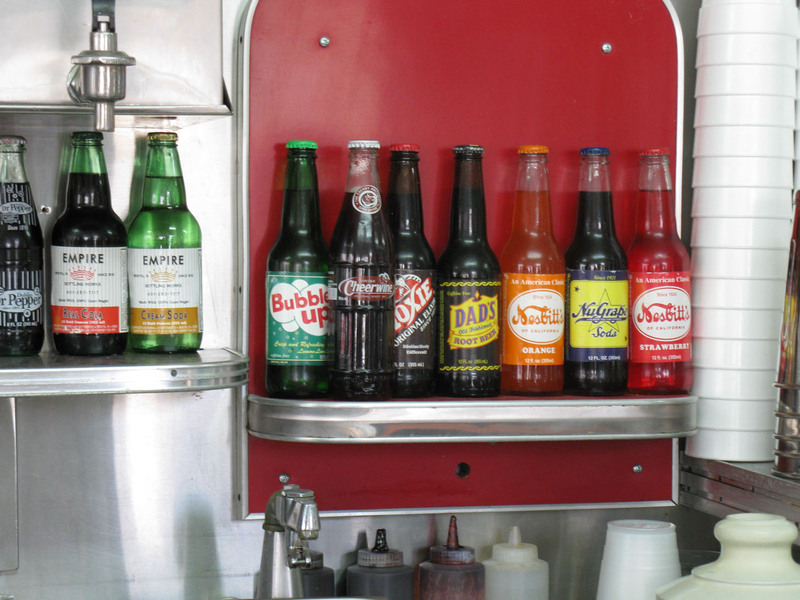 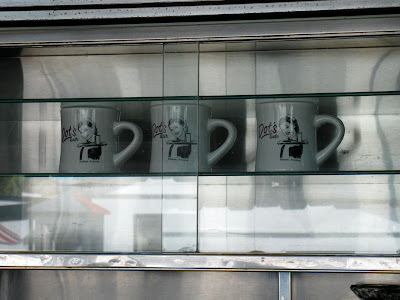 ), they have the perfect accompaniment for the eccentric and retro roadside attraction fan. 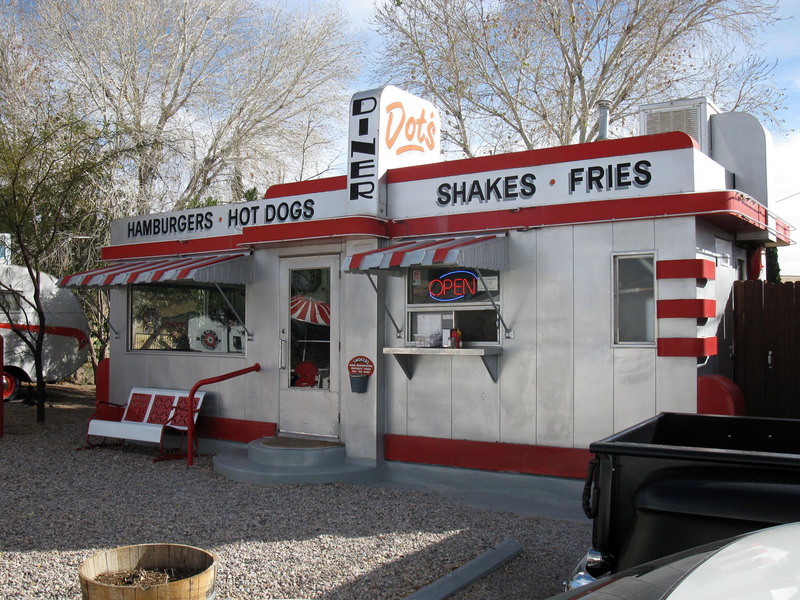 Dot's Diner is a cute-as-a-button authentic 1957 Valentine model diner, originally located in LA when Dot Bozeman served up the hash and joe. 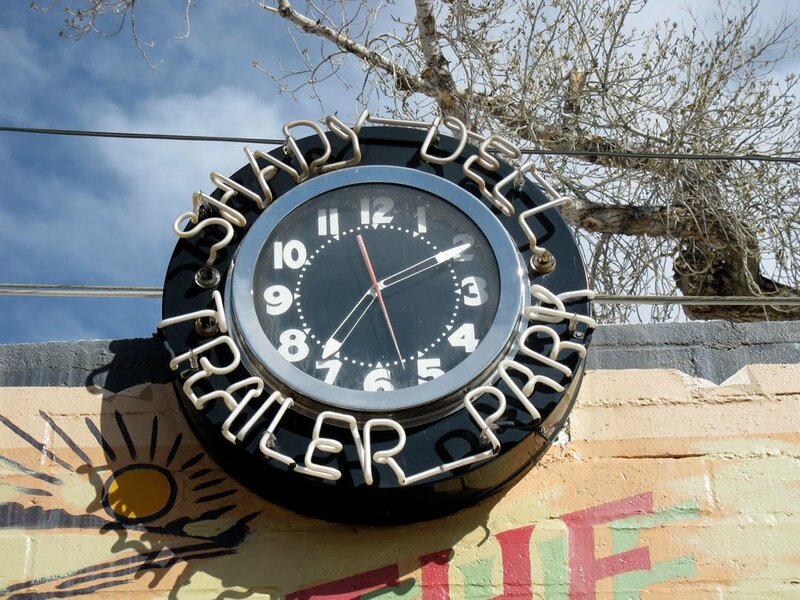 Now it sits as a ray of sunshine in The Shady Dell's parking lot, providing good grub and cheer to retro denizens and locals looking for a bit of friendly Americana served up with with their Two Chicks on a Raft. 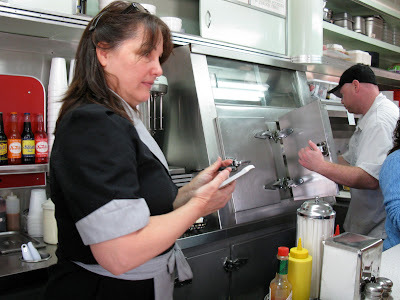 A counter with nine stools is all they've got, so the atmosphere is warm and cozy. It's the kind of place where, when we arrived and found only two separate stools available, all the patrons grabbed their plates and scooched over so we could sit together. 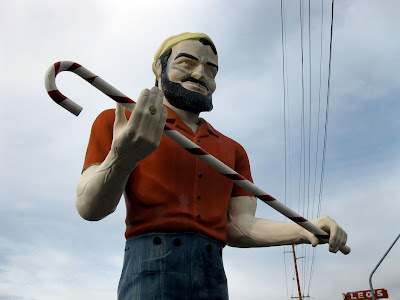 Mighty neighborly. 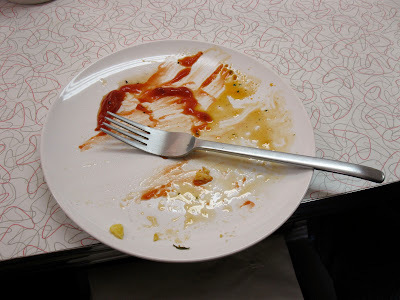 The service was friendly and quick and the food hit the spot in the way only a good Eisenhower-era diner meal can. 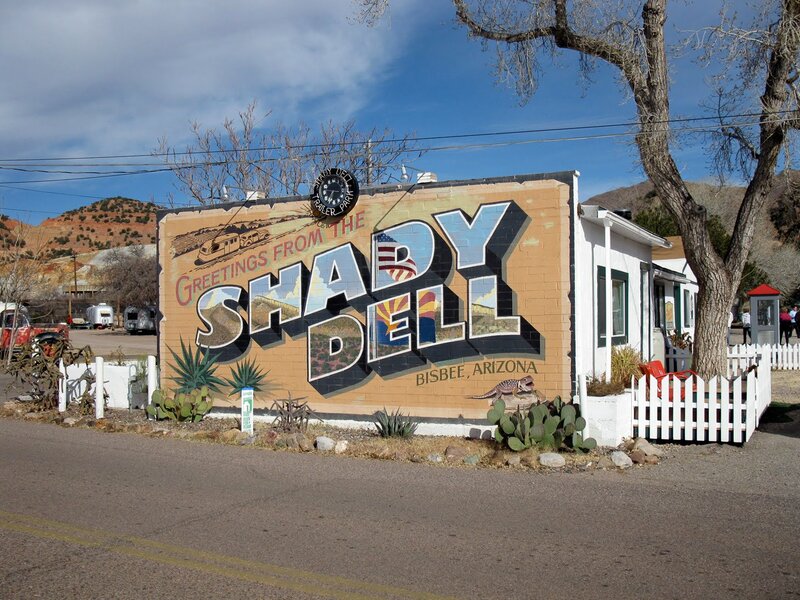 This place is yet another reason why Bisbee is a must-see destination for happening folks like you and me. 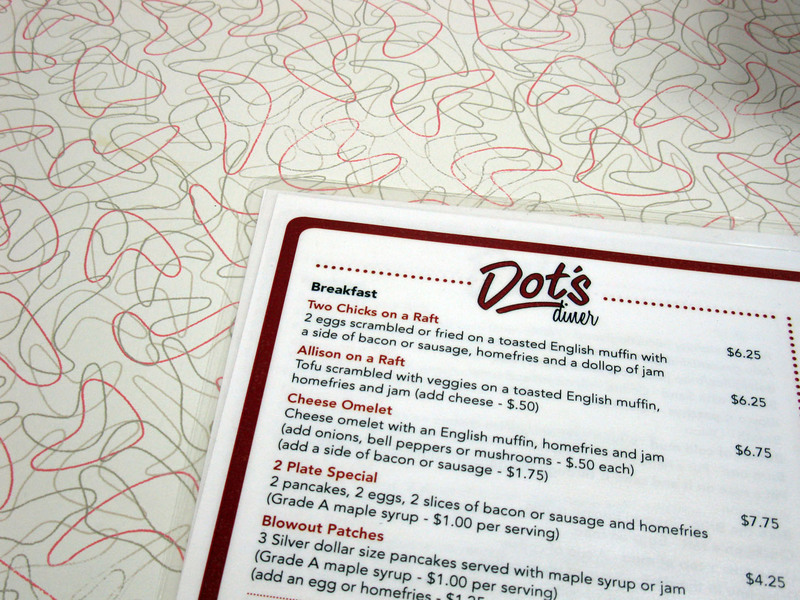 Dot's my story and I'm sticking to it. 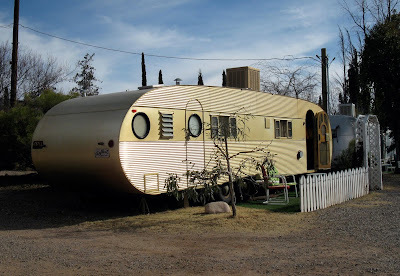 The 1957 Airfloat (that's the inside below). 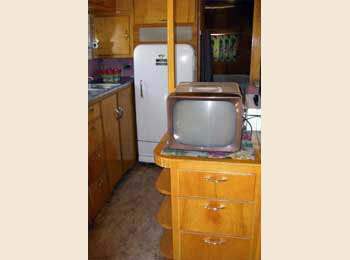 Interior pics are from The Shady Dell's website. 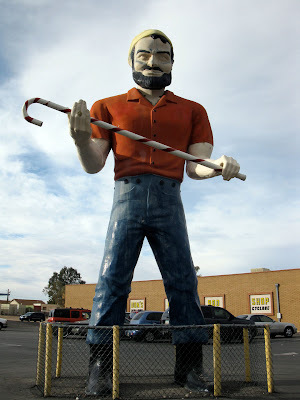 Go visit them! 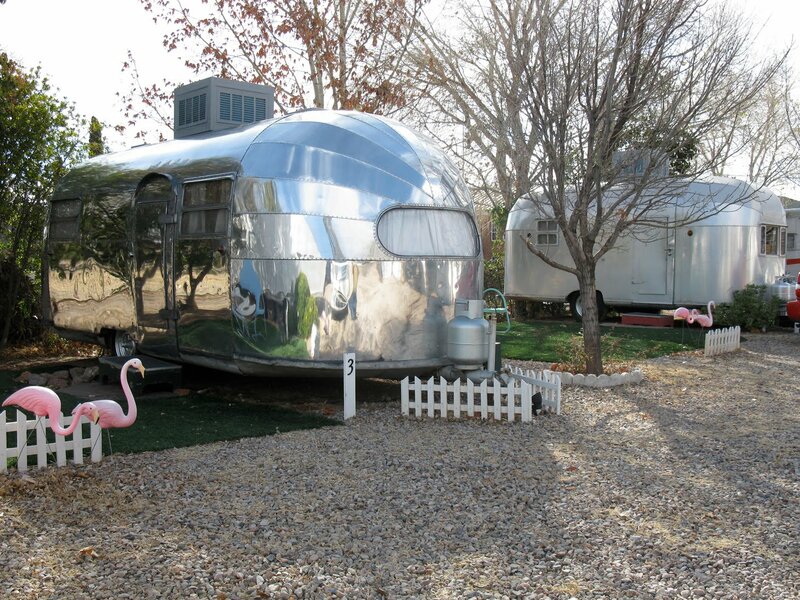 The 1949 Airstream, left, and the '57 El Rey (lawn flamingos come at no extra charge). 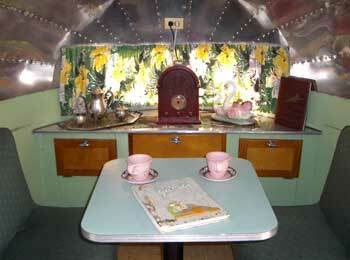 Here's the interior of the Airstream...comfy! ...and equipped with a kitchen Lucy would love. 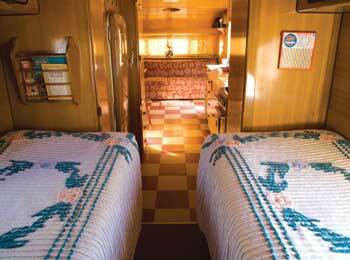 The 1950 Royal Mansion is fit for a king. 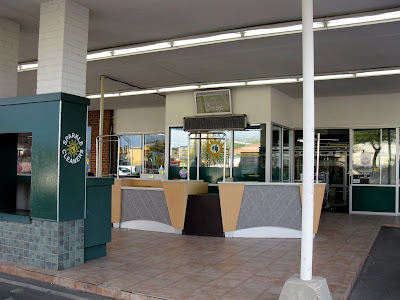 Jen is ready to help you at the front office. 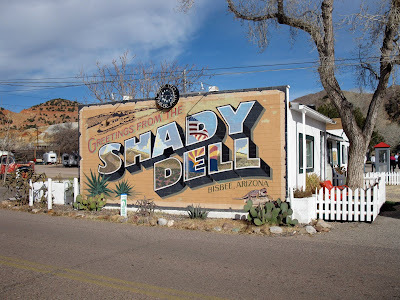 We've already done a few posts about how awesome a place Bisbee, Arizona is but everything else this cool town has to offer the eccentric roadside attraction fan pales in comparison to The Shady Dell vintage travel trailer court on Douglas Road. 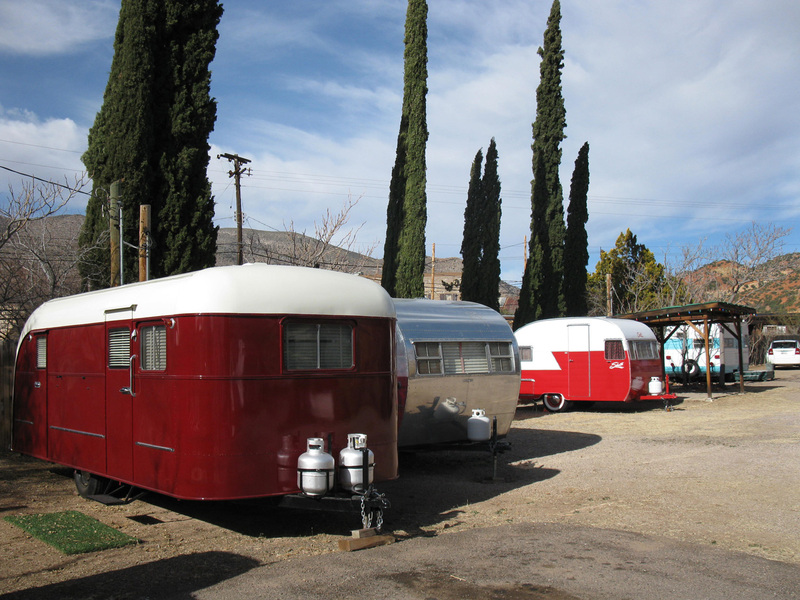 Nine beautifully restored trailers of different shapes and varieties dating back from 1949-57 (plus a 1947 Tiki bus and a 1947 38-foot yacht!) 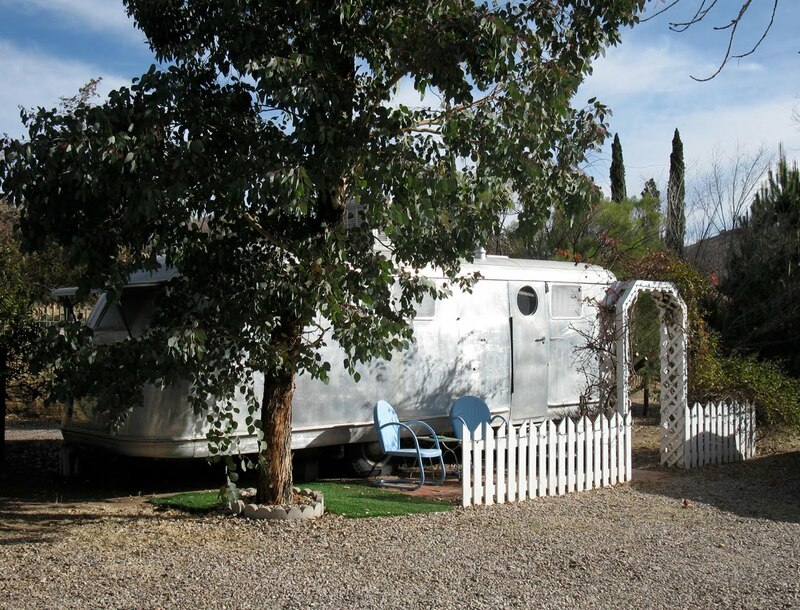 are lovingly arranged in a gravel court with picket fences and trellises. And you can spend a night or two in one of these aluminum dreams, each equipped with vintage accoutrements, like working percolators and period 2-color TVs, to make your visit a retro dream come true. Unfortunately, we were on a rather tight schedule so we couldn't stay overnight in one of these tin can mansions, but we did get to walk around and gawk at them and have a nice chat with Jen, who, with her boyfriend Justin, his mother Annette and their friend Ken run the place. 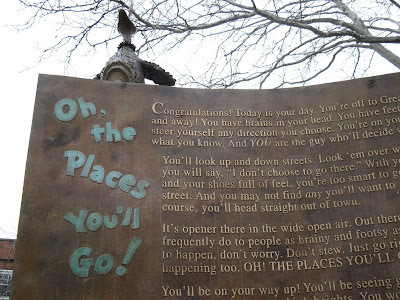 The park dates back to 1927, as a traveler's oasis along Route 80, the old road from Savannah, Georgia to San Diego, California and sister to the more famous Route 66. Today the park is a living, breathing museum of the good life of the 1950s open road, when Lucy and Desi led the way in "The Long Long Trailer." 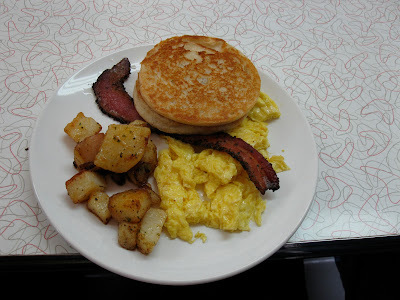 Fancy some bacon and eggs and a cup o' joe? 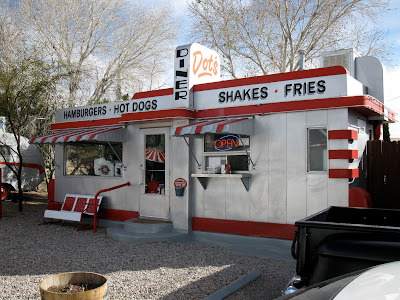 Nestled in the property is Dot's Diner, a tiny gem that diner aficionados will recognize as a 1950s Valentine model. 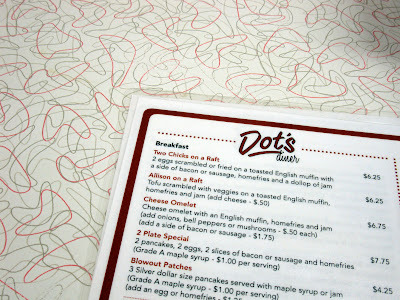 We'll do a post about Dot's later. 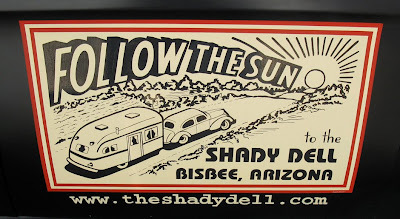 So come on, eccentric roadside fans...pack up the station wagon and head down to Bisbee. They've got it made in the shade. 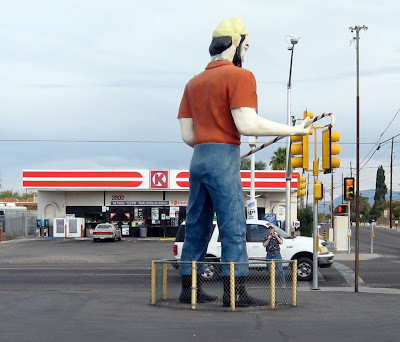 Passmore Gas & Propane is NO joke. 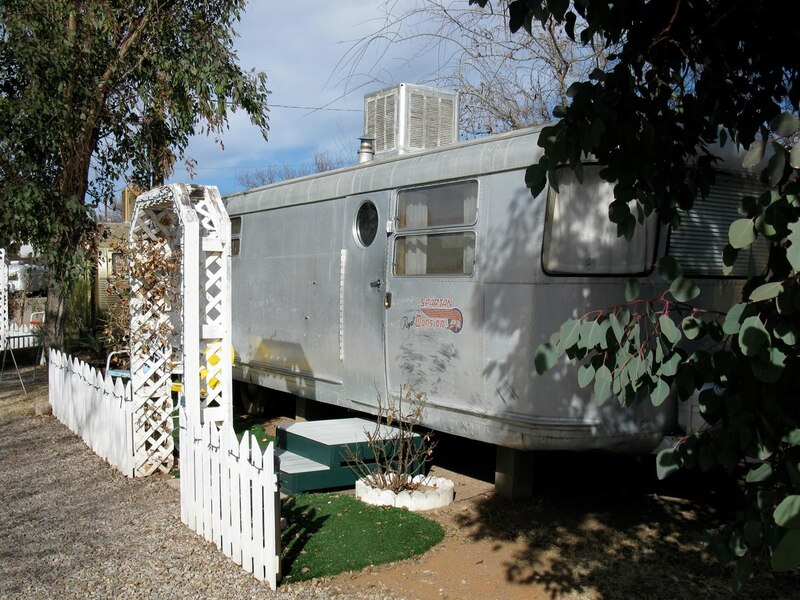 The owner's name is Randall Passmore, they have a location in Blythe, CA and Lake Havasu City, AZ. 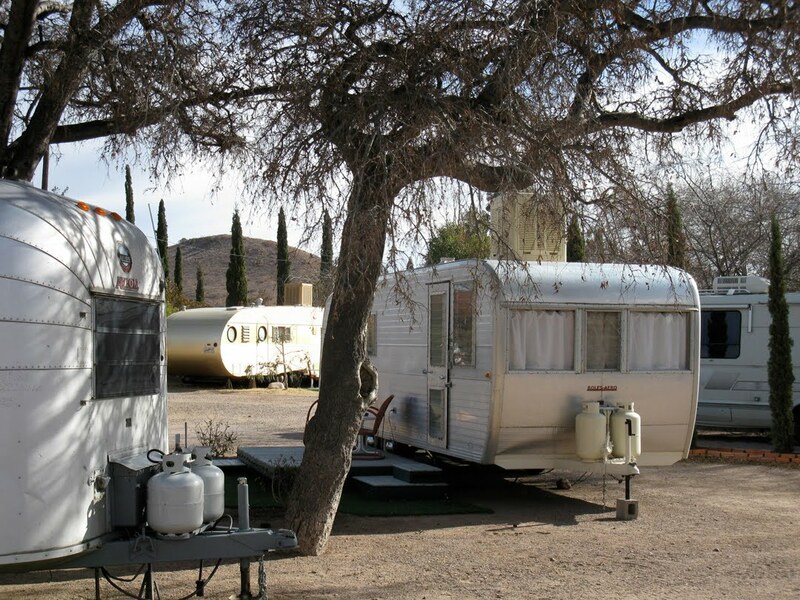 They deliver propane and GASoline to homes and businesses. 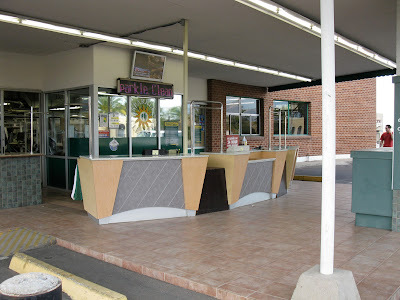 I should know, I was customer service rep. 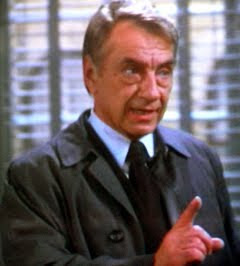 This is just too good to be true and reminds me of the Seinfeld episode with the library "cop" named Mr. Bookman. 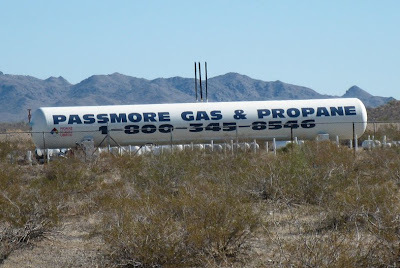 I would certainly use Passmore Gas as my propane company if I lived in the area, just for the name alone. Writing "Passmore Gas" on a check would make bill-paying a chuckle-inducing pleasure. 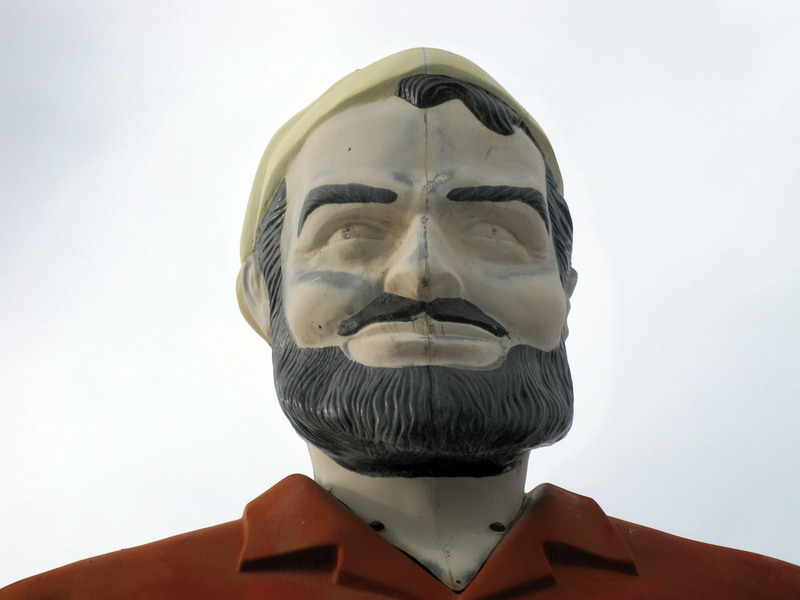 We used to have a septic tank pumping company here in Rhode Island named Mr. Cesspool that we also employed strictly because of their funny name. Alas, they were bought out by another company and the Mr. Cesspool moniker was flushed away. 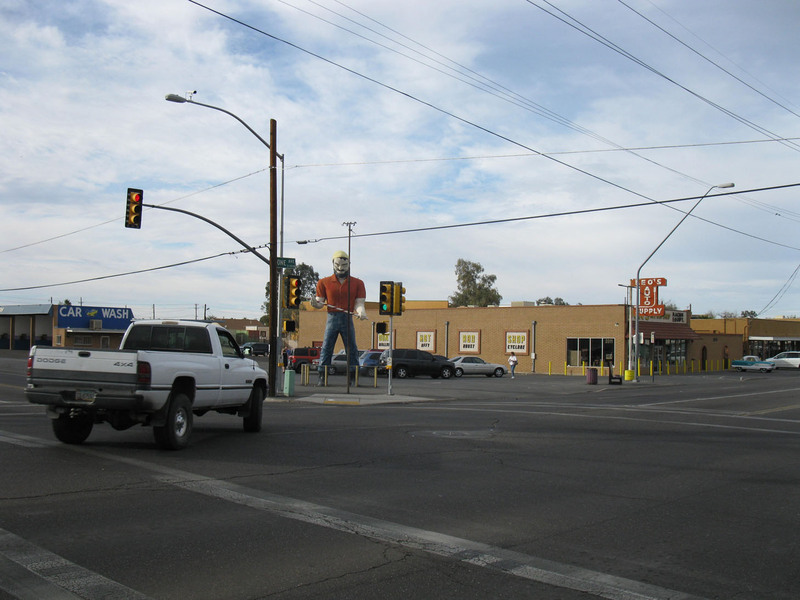 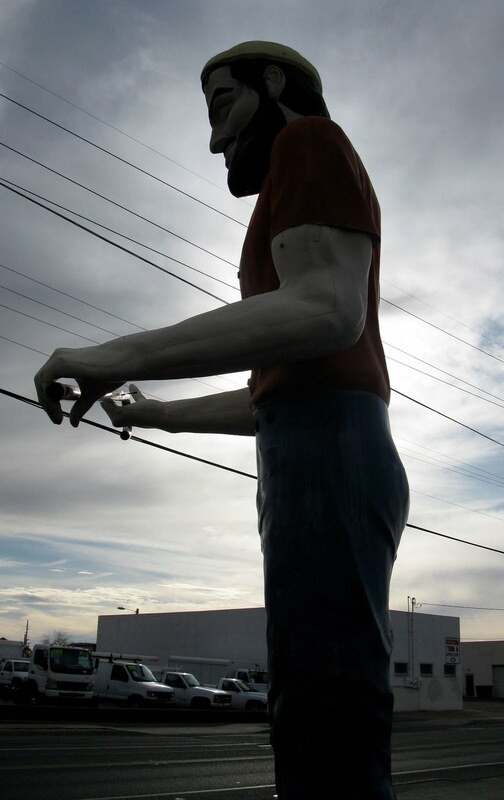 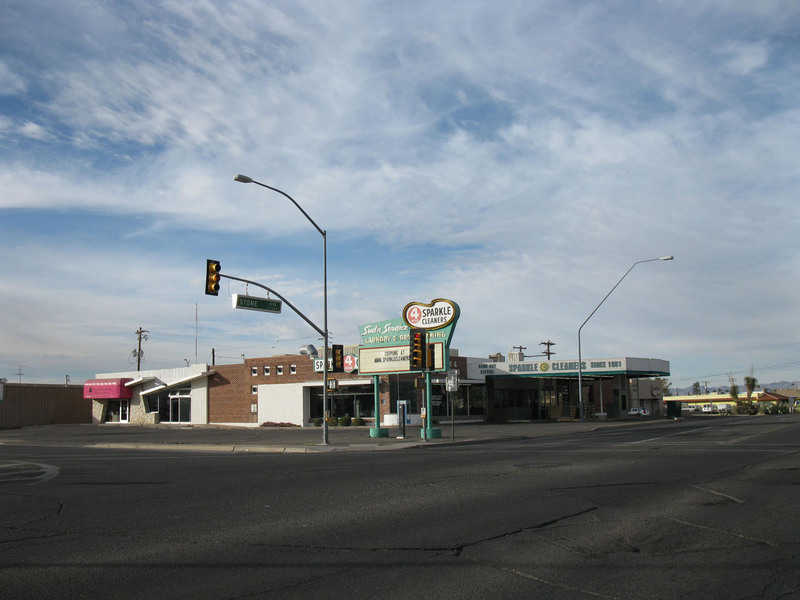 We've posted about a few of the swell eccentric roadside attractions along the North Stone area of Tucson, Arizona, a cornucopia of mid-century architectural wonders. Another gem is the gloriously retro Sparkle Cleaners, which was established in 1961 and is re-pleat with vintage dry cleaning greatness. 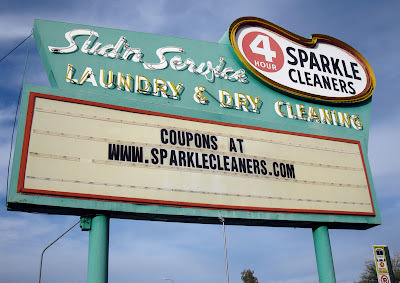 It's got outside walk-up service under a brightly festooned overhang and their street sign is also a retro marvel. The best touch is the tri-toned laundry counters with blond wood and diamond pattern. 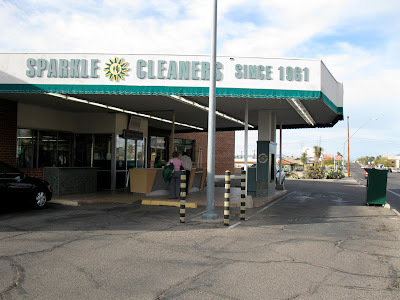 This must be where Jane Jetson dropped off George's shirts while they were staying in Tucson. 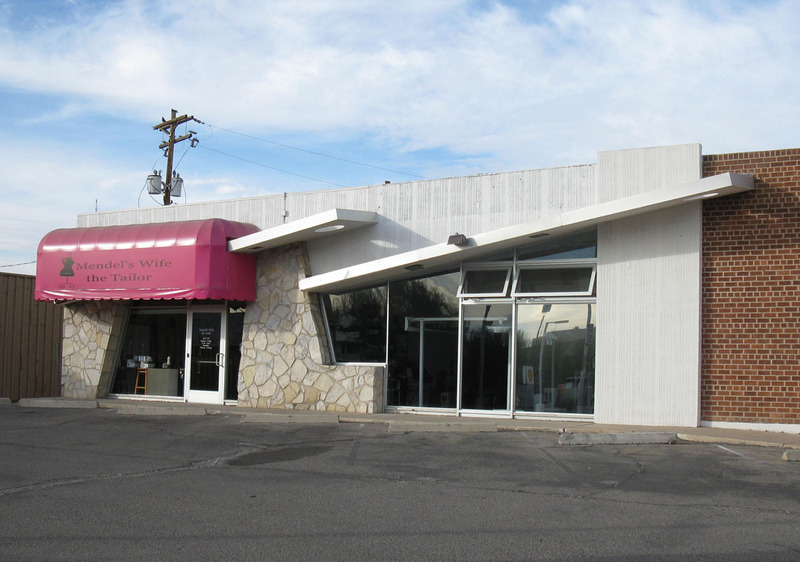 On the left side of the building is more 50's Googie-tecture, perhaps Sparkle's sister outfit Mendel's Wife the Tailor, where right angles are strictly optional. 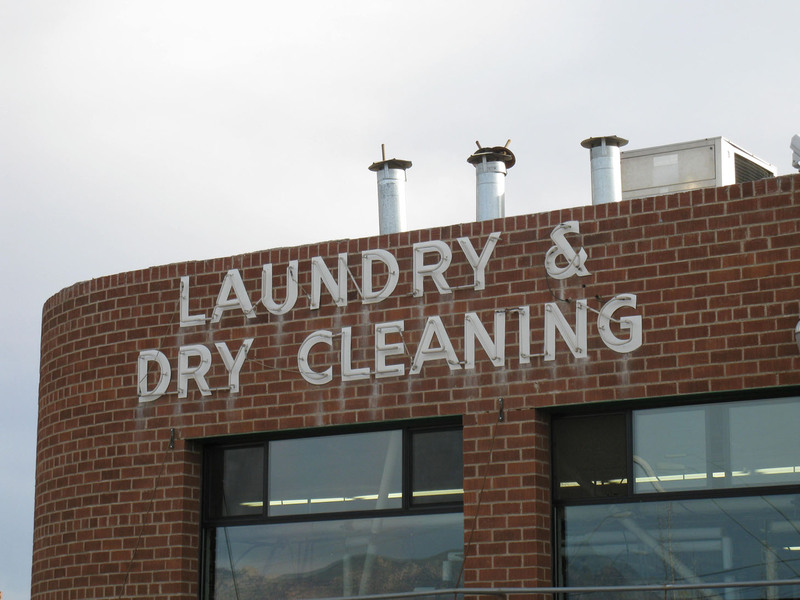 The nice thing about a place like this is that it just seems to be going about its business without trying to be hip, cool or vintage. 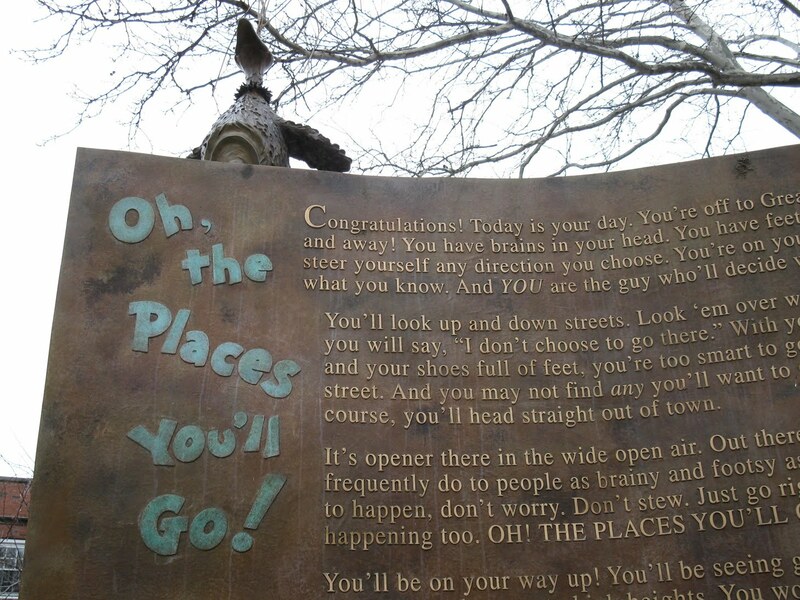 They are who they are, no fuss no muss. 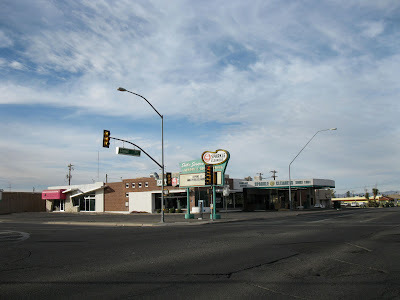 It's nice to see a great old place like this still going strong after 49 years... I'd be mighty steamed if they were ever to fold.